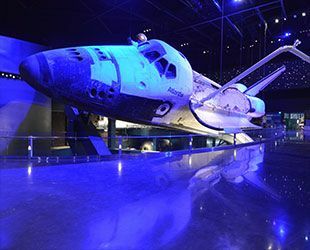 The Space Shuttle Atlantis played an important part in the United State’s 30 year space exploration. Atlantis was the last shuttle launched out of the Shuttle Program. The Shuttle launched for its final mission on July 8, 2011 from Kennedy Space Station to deliver supplies to the International Space Station. Atlantis while in space orbited the Earth 4,848 times! The $100 million project aims to educate the public on the level of magnitude it takes to launch a shuttle into space – from the engineering of the Space Shuttle to withstand space conditions to the thousands of scientists involved behind the scenes to make a mission successful. The Kennedy Space Station hopes the exhibit will reignite the public’s interest in space exploration. Especially now since NASA needs to raise $100 billion to send astronauts beyond the International Space Station. Tickets for the exhibit are $50 for adults and $40 for children.